Pro Libertate: Let a Thousand "Rogue" Grand Juries Bloom! Over the past decade, hundreds of police departments nation-wide have purchased the vehicles with the help of federal grants. 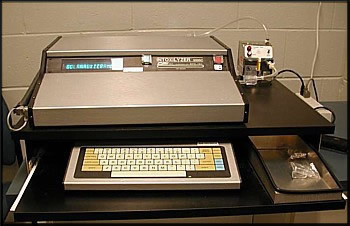 The testing device deployed in them, the Intoxilyzer, is considered infallible by law enforcement agencies and most trial judges. However, the Kentucky-based company that manufactures the the Intoxilyzer has refused to disclose its source code. Without access to the source code, the device's findings are unverifiable. As one defendant points out, the machine could simply be a gimmicky random number generator, rather than a finely calibrated scientific instrument. In professional terms, Culbertson landed on her feet: She was hired by a laboratory at Lone Star College that had a contract to conduct breathalyzer analysis for the Harris County Sheriff’s Office. Shortly thereafter, the Harris County Commission – at the initiative of DA Pat Lykos – ended its contract with the Lone Star College lab. In effect, Lykos – in an act of vulgar retaliation-- arranged for Culbertson to be fired. 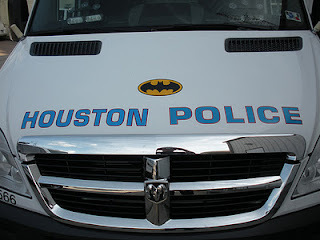 Harris County’s 185th criminal court grand jury, which had been investigating problems with the BAT vans, called Culbertson to testify, along with former Harris County Prosecutor Brent Mayr. Lykos dispatched two members of her flying monkey corps – assistant DAs Carl Hobbs and Steve Morris – to “monitor” the grand jury testimony. Lykos unsuccessfully sought a court order compelling the grand jury to grant access to her underlings. When that effort failed, the DA's office exploited a back-channel to obtain official transcripts of the grand jury testimony. That led to a summons from Judge Susan Brown to Hobbs and Morris, along with court reporters Javier Leal and Katherine Chagaris, who face the possibility of contempt citations and the prospect of six months in jail. 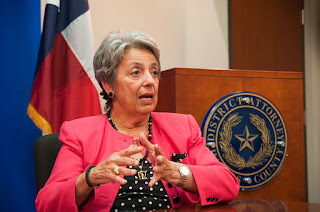 The Harris County grand jury's insurrection caused consternation in the DA's office, and astonishment in the local media. "All too often in the past, Harris County grand juries have functioned as rubber stamps providing prosecutors with indictments without impartial scrutiny of their substance," notes the Houston Chronicle. Of course, this is true of practically every grand jury since the enactment of the Federal Rules of Criminal Procedure in 1946. The Federal Rules of Criminal Procedure were created by committee to be an instrument of what the German National Socialists called Gleichschaltung – the “synchronization” of legal (as well as political and cultural) institutions with the dictates of the central government. Germany had been a federated constitutional republic prior to 1933, when Gleichschaltung got underway. Five years later, the FDR regime’s Advisory Committee on the Rules of Criminal Procedure – invoking the supposed need for “simplicity” and “efficiency” – began the same process in the United States. 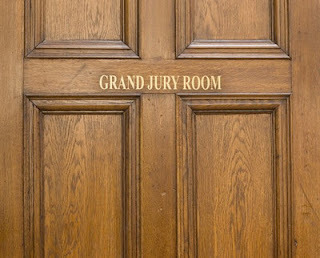 Presentments were often filed by grand juries investigating official corruption – such as the grand jury in Minneapolis that forced the resignation of the mayor and police chief in 1902, or the one that dislodged Boss Tweed and his politically sheltered cronies thirty years earlier. This was an entirely appropriate function of the grand jury. The “grand jury in its primal, plenary sense … was a group of men who stood as a check on government, often in direct opposition to the desires of those in power,” points out constitutional scholar Roger Roots. Rather than being an instrument of the political class, Roots continues, “American grand juries initiated prosecutions against corrupt agents of the government, often in response to complaints from individuals.” It also served as “a people's watchdog against arbitrary and malevolent prosecutions." In 1734, grand juries twice refused to indict John Peter Zenger for “seditious libel.” New York’s Royal Governor William Cosby bypassed the grand jury by filing a “criminal information” against Zenger – only to see the trial jury nullify the sedition law and acquit the newspaper publisher. 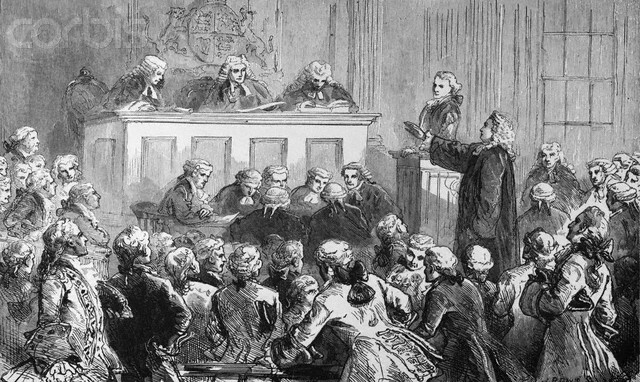 During the 1760s, Crown prosecutors in Massachusetts were constantly stymied by grand juries that refused to indict colonists accused of violating the Stamp Act and other impositions. “Today, the grand jury is the total captive of the prosecutor, who, if he is candid, will concede that he can indict anybody, at any time, for almost anything, before any grand jury,” wrote federal District Judge William J. Campbell in a 1973 law journal article calling for formal abolition of the institution on the grounds of redundancy. 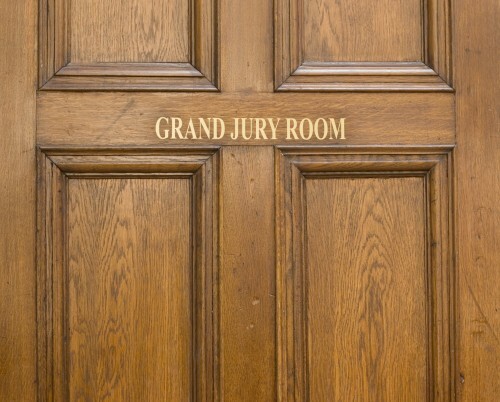 This isn't to say that the grand jury is considered useless by the prosecutorial caste: It helps maintain the pretense that prosecutors are servants of the public will. What is happening in Harris County is not an example of a grand jury going "rogue," but rather one behaving exactly as it should. It is interposing itself on behalf of the public by investigating a federally subsidized revenue-collection racket, and the abusive prosecutor who presides over it. Hopefully its example will prove to be contagious. This Saturday (November 5) I will be one of several featured speakers at the United Republicans of California state convention at the Embassy Suites Hotel in Arcardia, California. UROC, which bills itself as "The republican wing of the Republican Party," is emphatically not a neo-con group: In 2008, it unanimously endorsed Ron Paul's presidential bid. Your help in keeping Pro Libertate on-line is urgently needed, and most deeply appreciated. God bless! the Grand Jury Foreman ordered the DA’s them to leave. ... perhaps the standard manual procedure is best? Excellent article, Mr. Grigg. I would like to share this with Oath Keepers' readership. Also, thank you for alluding to Roger Roots in your article - a man whose work can greatly benefit American citizens in their quest for freedom. Perhaps too early to celebrate the Rogue grand jury. This may only be internecine strife among two groups of statists. 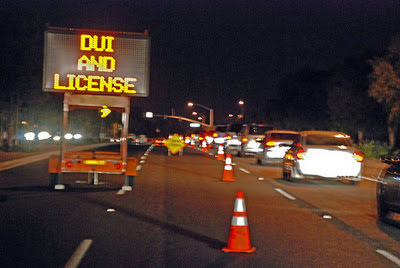 DUI lawyers all have a expert witness they can call upon, but for a price to thoroughly debut and destroy these machines in court. I've seen them in action on more than one occasion and if you ever get charged for DUI, hire a lawyer and pony up the extra $1500 or so for a days testimony from one of these folks and your DUI is done. As a "rogue juror" myself, per U.S. Circuit Judge William G. Young (http://www.lewrockwell.com/eddlem/eddlem28.html), let me posit the idea that genuine nullification is unnecessary. All we need to do as jurors is enforce the Constitution, and we'll have a revolution! As someone who has been called a "rogue juror" myself (courtesy of U.S. Circuit Judge William G. Young - http://www.lewrockwell.com/eddlem/eddlem28.html), let me posit the idea that we don't need nullification. All we need to do is enforce the existing Constitution as jurors, and we'll have a revolution!!!!! Excellent post. Best wishes for the event this weekend. Spread the message! As a former Texan I always have to cringe when I see how far the state strays from the myth people have in their minds. You have socialists from Houston to Austin and everywhere in between who have that particular knack in rising to the top of the political toilet bowl. To see the citizenry actually take a stand, any meaningful stand at all, is so gratifying. On numerous occasions, I have attempted to present evidence and testimony of criminal wrongdoing by law enforcement to grand juries, only to be barred access by the DA. Several times I managed to contact grand jury forepersons at home who seemed very interested, but upon a second call, discovered the DA had "gotten" to them. Mark, your experience simply shows how the criminal nomenklatura operates. You have politicians, judges, DA's, lawyers, cops, and an entire prison-industrial complex glued together for mutual benefit at YOUR expense. What a racket! What needs to happen in this country is for the entire judicial system to be "depoliticized". Too many judges and prosecutors are using their offices to gain political power, instead of seeking justice. This behavior by the Houston PD makes me sick. That judges go along with it makes me sicker. It just proves how corrupt our system has become. I cannot believe that people would do this kind of thing especially in light if how devastating a DUI conviction can be to someone's life. How cruel these police and prosecutors are! How incredibly corrupt the judges. We really need to revamp the entire judicial system in this country.